Pork has always been referred to as the “other white meat” but it may be surprising to know it’s actually red meat. Any animal with cloven hooves is labeled red meat. So, where did this label come from? It came from a marketing scheme the U.S. National Pork Board created in 1987 to boost sales of pork. Just as McDonald’s created the catchy slogan, “I’m loving it” and Coca-Cola used their long-running slogan, “Open Happiness” to generate sales, so the U.S. National Pork Board did for pork. Pork had drastically declined in sales because consumers believed it was too fatty to eat. With the goal of raising pigs to have as much as three inches of a fat layer in the early 1900s, it’s easy to have that perception. However, that fat layer was mainly used to produce lard, the fat many used to bake and fry their foods in. During WWII, the use of lard shifted from a household product to a war-time product, due to the fat being used to make glycerin, which was used to make bombs. Because of this shift in use, it became less available to the public, and this gave rise to the creation of vegetable oils as a substitute. By the time the war was over and lard was back on the local grocer’s shelves, vegetable oils gained ground, thanks to their own marketing schemes of being “healthier” to use over lard. From that point, the sales of lard and pork, in general declined drastically. Fast forward to the 1980s and the U.S. National Pork Board wanting to change pork’s image in the eyes of the consumer especially because of improved practices in raising healthy pork. Insert the slogan, “the other white meat.” It proved a powerful slogan, increasing sales up to 20% over five years, with sales continuing to hold throughout the span of the slogan’s 22-year reign. Though parts of pork still get a bad rap for being too fatty and not good for you, pork in and of itself is a tasty and lean alternative to other meat options. Pork chops, for example, are a great lean meat choice that have high amounts of protein, good cholesterol, iron, as well as, essential vitamins and minerals like D, B-12 and B-6, Magnesium and Selenium. Buying a pork chop without the bone means the meat is leaner and has less fat, however, it can be a tricky one to cook, and for many, lacks flavor the counterpart – pork chop with the bone – has. A pork chop with the bone not only offers more flavor thanks to the connective tissue near the bone and extra fat layer, but also is easier to cook and more tender. This is because the bone provides protection for the meat while cooking, helping it from overcooking. Of course, if it stays in the oven, on the grill, or in the pan too long, the bone won’t be able to keep it from getting overcooked and tough, but it certainly gives it the help it needs when cooked accordingly. Season pork chops with salt and pepper on both sides. Heat a large skillet over medium-high heat and spray with nonstick cooking spray. Add pork chops and cook for 2-4 minutes on each side, until browned and just barely cooked through (don’t overcook or they will be tough). Transfer pork to a plate and cover with aluminum foil. Add chicken broth to the skillet and scrape up any remaining browned bits from the pork. Add cream or half & half, Dijon mustard, and lemon juice. Stir well, reduce heat to medium and simmer, uncovered for 5-6 minutes or until sauce has slightly thickened. Spoon sauce over pork. Garnish with parsley, if desired. *If the sauce isn’t thickening, mix a heaping teaspoon of arrowroot powder (or cornstarch) with ¼ – ½ cup of water until completely blended. Slowly add mixture into sauce, whisking as it thickens. Use more or less depending on your desired thickness. If you liked this article be sure to check out the Fill Your Plate blog for more interesting articles! Or if you liked this recipe and want to see more like it check out the Fill Your Plate website, where you will find a whole section dedicated to great tasting and healthy recipes. 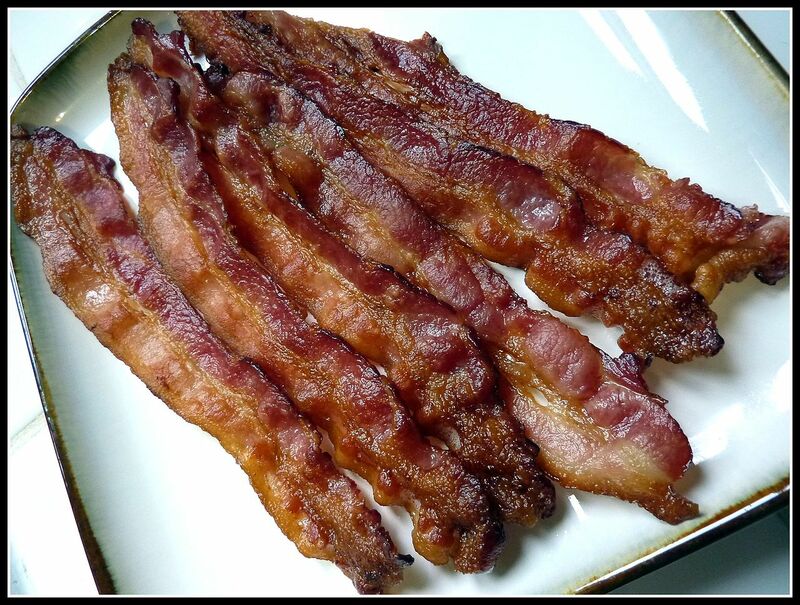 This entry was posted in Ag Facts, Animals, Arizona Pork, Cooking, Diet Tips, Food, Health Tips, Healthy Eating, Pork, Recipes and tagged bacon, facts, food, Health, Meat, pork, Pork Chops. Bookmark the permalink.